Interest rates on student loans are set to double on July 1—putting college out of reach for many families. 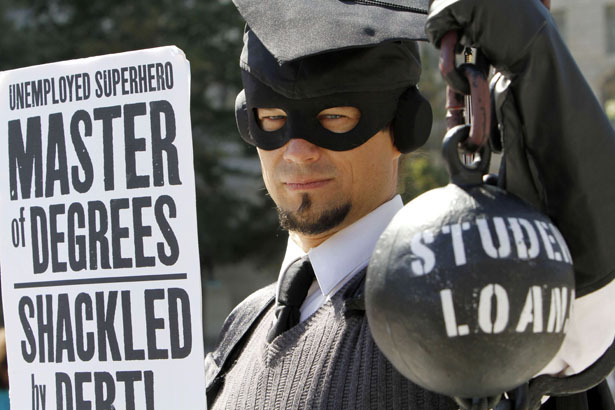 Interest rates on student loans will double on July 1 unless Congress acts. Since the phrase “congressional action” has become an oxymoron, this will quickly degenerate into an unnecessary crisis, requiring parents and students to threaten their legislators to get any relief. Why is action even a question? There is a universal consensus—left, right and center—that it is vital to our nation to educate the next generation. If we want to compete as a high-wage, high-skill country, our children will need the best in college or advanced technical training. And all agree that gaining that higher education is a necessary, if not sufficient, requirement for entering the middle class. So just as we pay for public education for kindergarten through 12th grade, we should ensure that advanced training or a public college education is available for all who earn it. None of this is even vaguely controversial. Yet, despite this consensus, we are pricing college out of the reach of more and more families. State support for public universities has lagged. Increasingly, the costs have been privatized, with the bill sent to students and families.